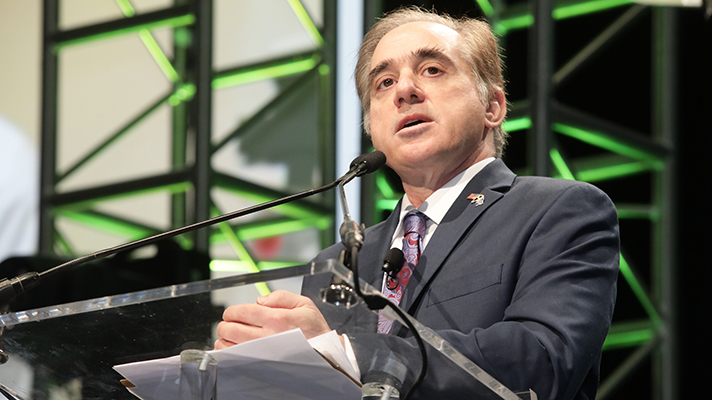 Shulkin accomplished much during his VA tenure, including launching the Anywhere to Anywhere telehealth program and helping to pass 11 Congressional bills. Former U.S. Department of Veterans Affairs Secretary David Shulkin, MD will join Dakotas-based Sanford Health as chief innovation officer. Shulkin will serve as lead innovation administrator, focusing on research and Sanford’s Imagentics, Chip, Profile and World Clinic, the system said. He’ll also continue the development of the health system’s clinical development and will serve as strategic advisor on national growth strategy and public policy. Shulkin will also join the Sanford International Board as a director and serve as an ambassador for Sanfords’s domestic and international projects. “His unique perspective, clinical expertise and powerful voice will further Sanford Health’s continued development and diversification, which is so critical to our ability to bring new treatments and cures to the patients we serve,” Krabbenhoft said in a statement. President Donald Trump fired Shulkin in March, after months of turmoil within the agency and reports Shulkin had fallen from Trump’s graces. His removal came amid a broader staffing shakeup within the presidency, including the removal of National Security Adviser, Lt. Gen. H.R. McMaster and Secretary of State Rex Tillerson. However, in his brief tenure, Shulkin helped to pass 11 Congressional bills that were all designed to bring much-needed change to the VA. He also launched a 24-hour hotline for veterans’ complaints, created an online platform that allows patients to track wait-times at the VA and jumpstarted the Anywhere to Anywhere telehealth program. Shulkin said Sanford was an “obvious choice” for its innovation and clinical integration around precision medicine. He received his MD from the Medical College of Pennsylvania, completing an internship at Yale University School of Medicine and a residency and fellowship at the University of Pittsburgh Presbyterian Medical Center.